News First VASCA-WG Patient Pathway now available! The first patient pathway from the Vascular Anomalies Working Group (VASCA-WG) is now available! 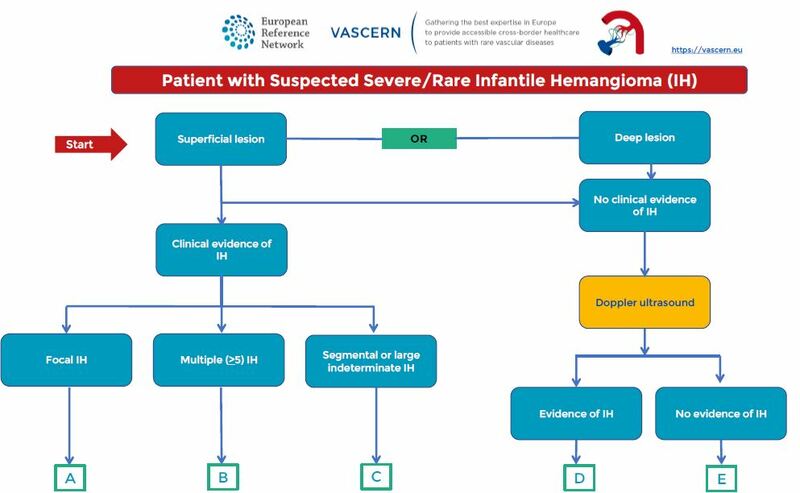 The first patient pathway to be published by the group is on Severe/Rare Infantile Hemangioma. You can equally find the patient pathway on the Patient Pathway page of the VASCERN website here, or on the VASCA-WG page of the website, under the heading “patient pathways”, here. The lead author of this document was Dr. Andrea Diociaiuti (Italy) and it was then discussed at length with the other members of the group in order to produce the finalized document. Patient Pathways aim to improve the care and management of patients with a rare disease. They are a very important tool used in defining the best patient care. Disease (or group of disease)-specific Patient Pathways are being developped by each of VASCERN’s Rare Disease Working Groups (RDWGs) in order to indicate the optimal mode of evaluation for patient diagnosis, the optimal evaluation of the patient once the diagnosis is made, and the optimal follow-up and therapy for the patient. Definition of (improved) patient pathways is one of our Work Package’s deliverables for Year 3. The VASCA-WG is currently working hard on producing patient pathways for many of the main types of vascular anomalies (e.g. venous malformations, lymphatic maformations etc. ), as well as a general diagnostic pathway for the diagnosis of all vascular anomalies. These are all being discussed and worked on during the monthly meetings and will be available soon. Congratulations to the VASCA-WG on this first great output!